How do I sign up and buy hosting? You can sign up and purchase hosting from our website. On the main page, simply click the sign up button. Choose your type of hosting and click Order Now. Choose whether you want to register a new domain, transfer a domain from another registrar, or use an existing domain. 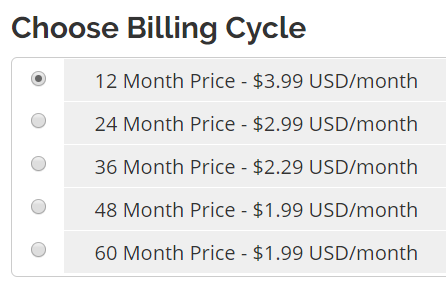 Choose a billing cycle for your hosting and any available addons you may want. Fill our your contact information. This information needs to be valid, or we may not be able to register a domain, set up an SSL, or add any features since many services require accurate information to proceed. Please use a personal email address, not an email address run through your domain. If you domain ever expires or your hosting is suspended for being overdue, you won't be able to receive important information to help you access your account. 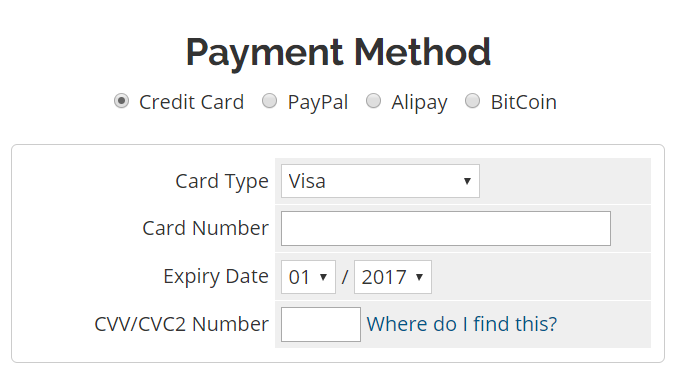 Enter your payment information and scroll to the bottom to agree to our Terms of Service and click Checkout. When the next page loads, you should see an order confirmation. Keep an eye out for your Welcome Email, and then you can start using your account right away!